“If you can not measure it, you can not improve it,” said the famous physicist Lord Kelvin. As an organization committed for more than 55 years to helping people achieve education and workplace success, ACT firmly believes that measuring students’ college and career readiness in English, math, reading, and science will help improve their readiness. In science, improving students’ knowledge and performance is more critical than ever: The U.S. Department of Commerce estimates that jobs in the fields of science, technology, engineering, and math (STEM) will grow 17 percent by 2018 and that more than 1.2 million of these jobs will go unfilled because of a lack of qualified workers. Several states have enacted laws that explicitly require students’ science skills be tested. In addition, the recently reauthorized Elementary and Secondary Education Act—the Every Student Succeeds Act—upholds the importance of science testing in elementary, middle, and high school. While other nationally recognized high school tests, such as the SAT, reference science content—if they do so at all—only in the context of assessing reading, writing/language, and mathematics skills, the ACT® test has a full, separate science test with 40 questions devoted to measuring skills and knowledge deemed important for success in first-year college science coursework. The constructs measured on the ACT science test are unique and different from those measured by the ACT math and reading tests. The inclusion of both a math and a science test allows ACT to offer examinees a STEM score, which represents their overall performance on the two tests. Only through the comprehensive measurement of both math and science skills can this unique score be determined. 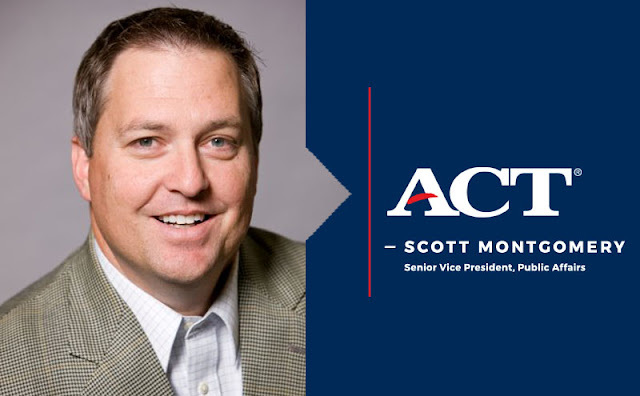 The ACT test has empirically derived benchmark scores that indicate readiness for success in first-year college courses in each individual subject area measured, including science. And our new STEM benchmark score indicates whether a student is well prepared for the types of first-year college courses required for a college STEM-related major. The science test on every ACT test form includes at least one passage on each of the science disciplines that are most often offered to students in high school—biology, chemistry, Earth/space science, and physics. In fact, science educators who participated in the recently released 2016 ACT National Curriculum Survey overwhelmingly prefer a stand-alone science assessment with authentic scientific scenarios. Eighty-six percent of middle school teachers, 89 percent of high school teachers, and 87 percent of college instructors felt that such a test is a better assessment of science knowledge than either science-oriented questions included in a math test or questions on an English or reading test involving science-oriented topics. Of the 1.9 million graduates who took the ACT in 2015, 49 percent declared an interest in STEM majors and careers. These students need to be prepared for STEM jobs, so why in the world would we cut back on measuring students’ science knowledge and skills? If we want students who are prepared for the millions of science, technology, engineering, and math jobs of the future, we must invest in teaching them science skills. But we also must assess their performance to measure what they have learned and to identify areas in need of improvement. The ACT is the only nationally recognized high school assessment that does this.